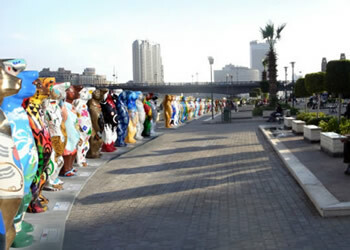 After 10 exhibitions - including fantastic locations like Berlin, Hong Kong, Istanbul, Tokyo, and Sydney, the United Buddy Bears are now visiting their first Arab country – Egypt. 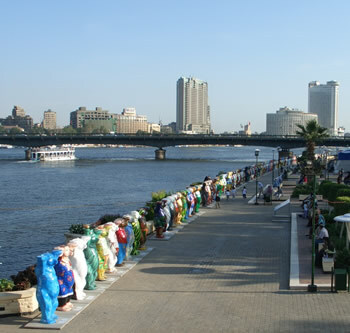 The exhibition opened on April 11th and will stay until May 19th. 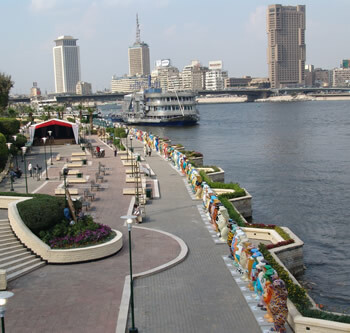 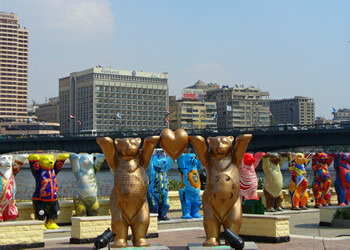 The Buddy Bears will be presented in the heart of the metropolis on the Gezira Promenade on the banks of the River Nile. 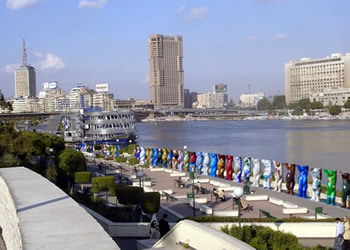 During that time, many artistic performances from various different nations will take place on a large stage on the exhibition site. 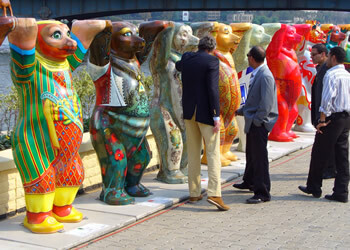 The next stop on the global tour of the United Buddy Bears will be Jerusalem in August 2007.